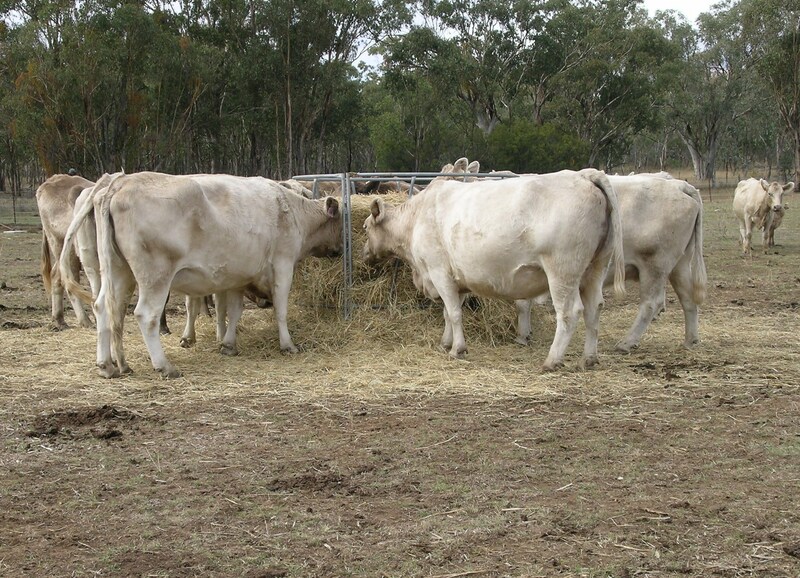 If you are a cattle farmer, you may already know that maintaining your cattle herd during the dry seasons can be a challenging task. We will discuss a drought management strategy called dry-lot feeding in this article. Drought and high temperatures can literally bake your pasture grasses. 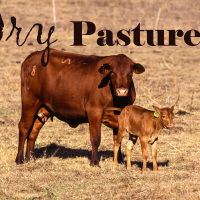 So if you live in an area where you might have periods of dry weather, you may need to implement some of these drought pasture management strategies for your livestock farm. “Feeding hay” by Cgoodwin – Own work. Licensed under CC BY-SA 3.0 via Wikimedia Commons. One way to deal with droughts could be dry-lotting during droughts. The idea of raising beef cattle in a dry confined area is gaining popularity among cattle ranchers. This is because beef producers can raise more animals this way, using fewer resources. To be able to raise animals in dry feedlots, consider the following factors. Pen size can vary based on your soil type and drainage system. Consider giving them more space if you have a mixed group with young and old cows. If possible, keep them in separate pens. In general allow 500-800 square feet per pair. According to University of Nebraska-Lincoln, 28 and 36 inches of bunk space per cow is recommended. Forage can be expensive and limited during a drought situation. To keep rumens healthy, a general recommendation would be to have at least 0.5% of the cow’s weight on a dry-matter basis as forage. For example if your herd’s average weight is 1,200 pounds, include 6 pounds of dry matter based forage per head per day. To make profit from your cattle herd, you need to find cheaper alternatives to hay for feeding livestock, feed that are nutritious but less expensive. For example, distillers grains, which is a good source of protein, can be used as a cheaper feed alternative to corn. P.S: – You could grow your own micro-green grasses that are highly nutritious and easily digestible. Click here to learn about DIY plans for livestock feeding systems. To get a hold of us, please call at 303-495-3705 or Click here to book a meeting. You can also get your Feed in A Box Microgreens (fodder) from us, you will absolutely love it! !